In a nutshell, QUICK strains are the fast version of classic feminised genetics. They result from the cross of a photoperiod parent, normally a female elite clone selected from a bunch of regular seeds, and an elite autoflowering female. The latter is reversed so it produces the pollen that passes the auto gene on to the cross. The result is an F1 “QUICK” hybrid that is not auto but is indeed much faster than photoperiod genetics. This is down to the autoflowering gene, which helps plants jump from the growth stage to a state of full bloom in the blink of an eye. The key to producing top-quality QUICK genetics is our incredible collection of elite autoflowering strains that, besides passing the auto gene on to the F1 hybrids, add to them the extraordinary traits our team of breeders has spent over 10 years trying to obtain. 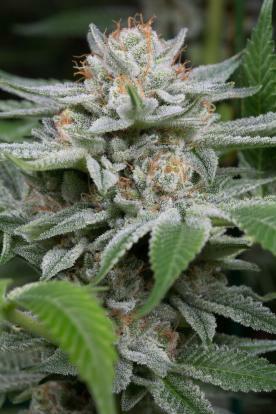 Intense tastes and aromas very different from other autoflowerings’. Such masterfully fixed traits ensure the high quality of our F1 QUICK hybrids, making them virtually impossible to differentiate from their sisters. They need to be switched to the flowering phase and could stretch a lot if provided with plenty of time. That's why we can clone and store the mother plants for as long as necessary. Once the photoperiod is varied from 18/6 to 12/12, they start flowering at light speed, much faster than any other ordinary plant. Thanks to these fast flowering properties, they can be grown in northern regions with fewer risks. By bringing the harvest date forward, they’re less likely to be affected by harsh weather conditions. In places such as Russia, England, Poland, Germany, Scandinavia or the Alps, they make the only viable option for growing outdoors, except for the auto genetics, of course. They deliver far bigger crops than their autoflowering little sisters, though, which is quite an advantage. Wherever you live, they’ll make your life easier, since the likelihood of having your crop ruined by bad weather conditions, by the attack of fungi or by unexpected plant thefts is significantly reduced.